Yes, it’s true. I can be bought. If you’re interested, you should go check out my website! It’s a collection of handmade jewelry, scarves, paintings and other delicious goodies. If you don’t see exactly what you’re looking for, just ask! I love commissions! 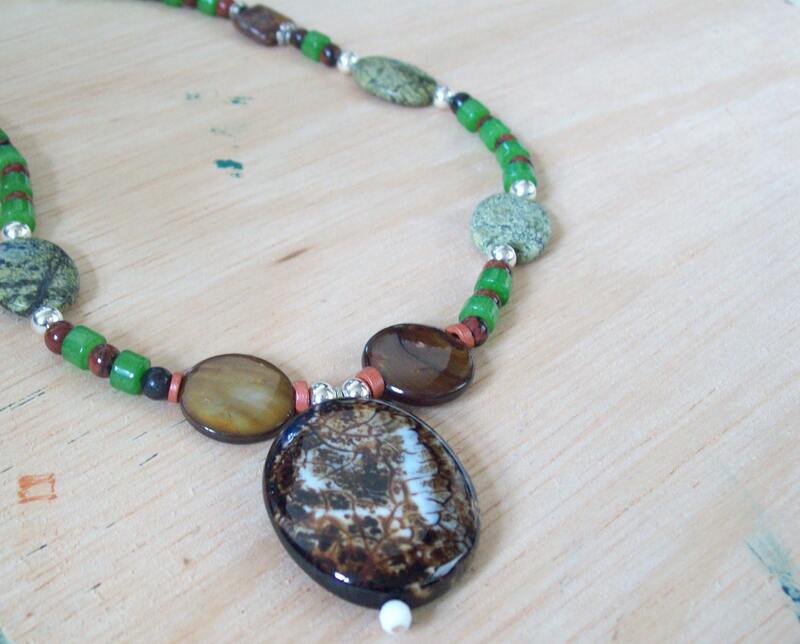 Get in touch with your inner nature with this beautiful necklace!